Here are some of the participants. 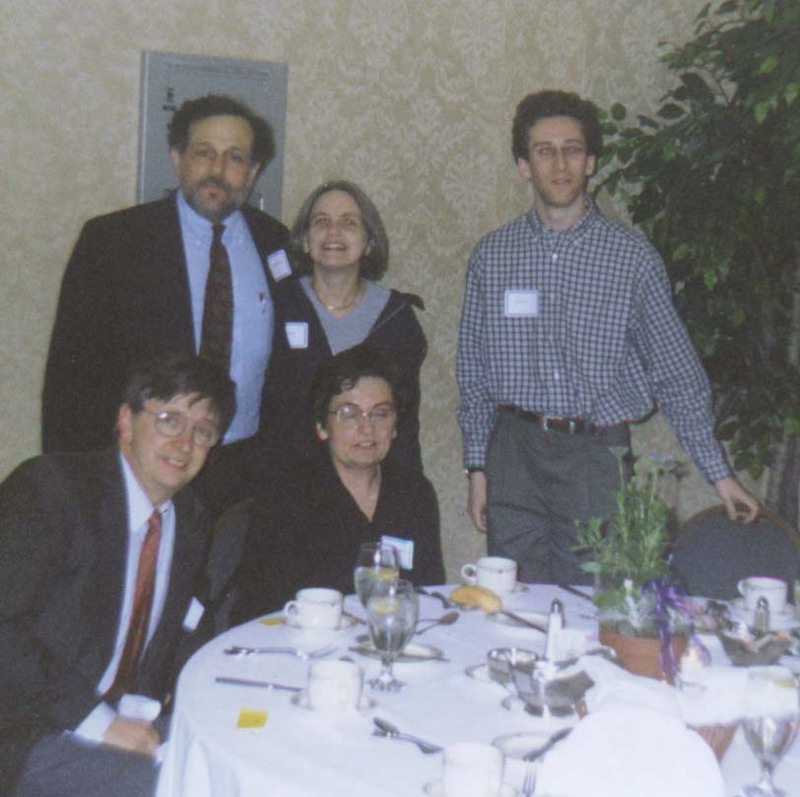 In the front row (seated) are Ju-lee Kim (University of Michigan; Yale Ph.D. 1997), Ilya Piatetski-Shapiro (Yale), and Pierre Deligne (IAS). 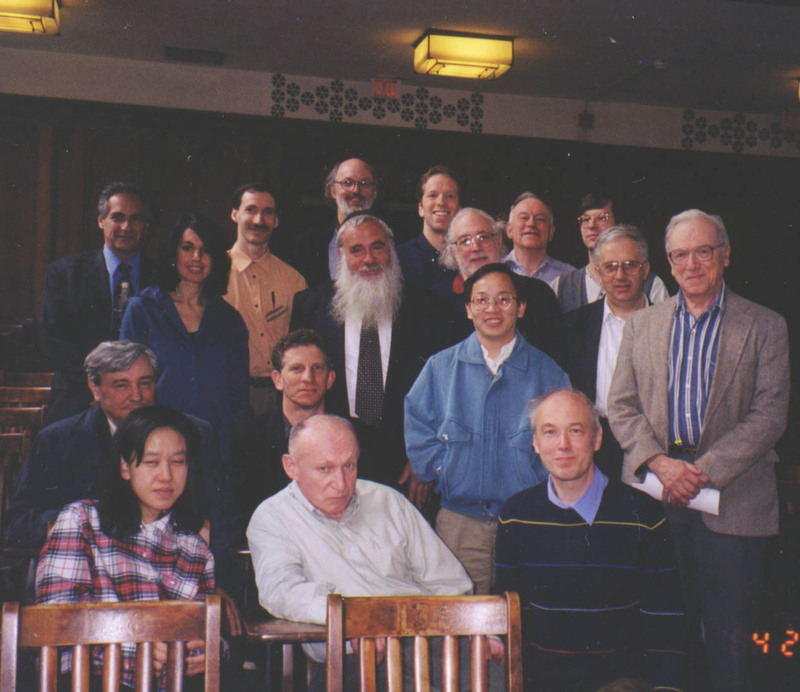 Sitting in the second row Sergei Novikov (University of Maryland) and Peter Sarnak (Princeton), with Tong-hai Yang (Stony Brook), Gregory Margulis (Yale), and Dan Mostow (Yale) standing to the right. 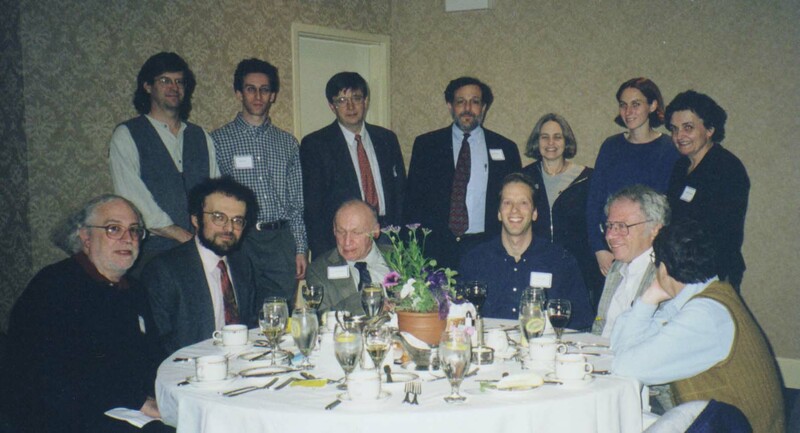 Standing in back (left to right) are Bob Zimmer (Chicago), Lisa Carbone (Harvard, visiting Yale), Viktor Protzak (Yale), Peter Jones (Yale), Eliyahu Rips (Hebrew University), myself, Stephen Rallis (Ohio State), George Seligman (Yale), and Jim Cogdell (Oklahoma State).This photo was taken by Edith Piatetski-Shapiro. At the banquet at the Omni Hotel some of the hosts mingle. With faces seen by the camera the camera (left to right) are Walter Feit, Wojtech Chacholski, the Mandelbrots, the Szczarbas, and Yom-Tom Siu (Harvard, but formerly of Yale). 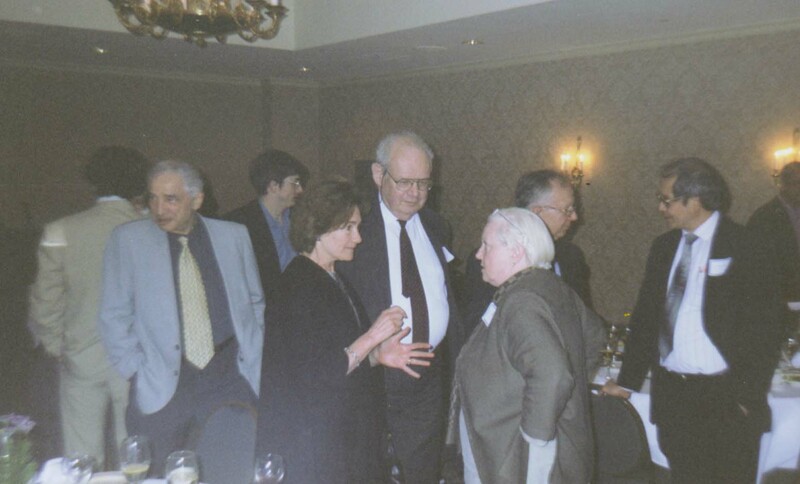 The conference banquet was not only the math department's social event, others from the Yale community came as well. 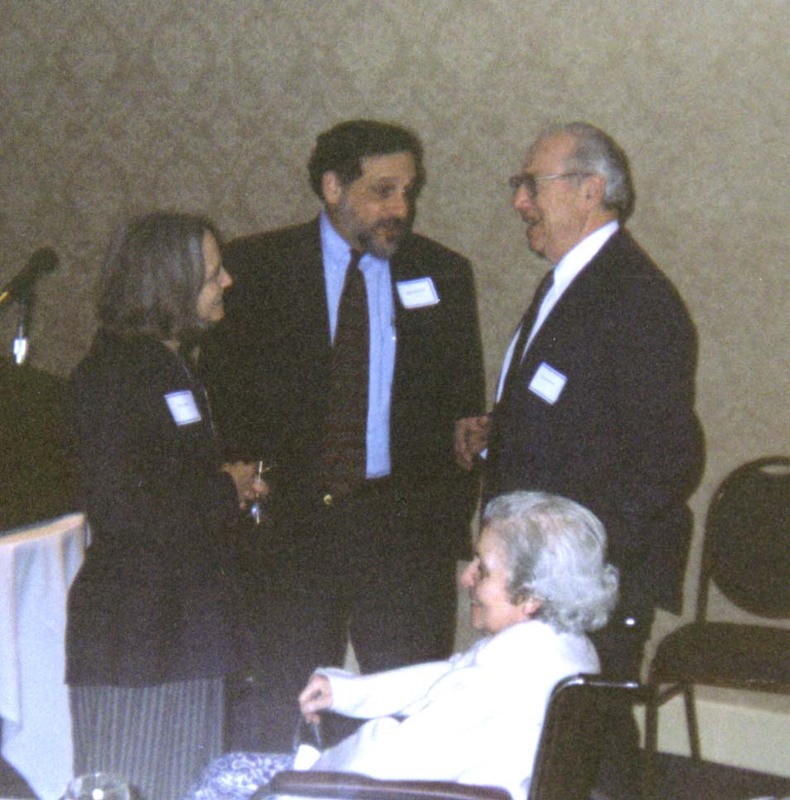 Here Rabbi James and Elana Ponet speak with Dan and Evelyn Mostow. Rabbi Ponet is the Jewish Chaplain of Yale University. Here are the Ponets and Lovaszes with Jason Levy. Edith took this picture of the rest of her family along with their fans. Stephen Rallis, Gregory Piatetski-Shapiro, Ilya Piatetski-Shapiro, myself, and the Gindikins are sitting comfortably, with Jim Cogdell, Jason Levy, Laszlo Lovasz, the Ponets, Shlomit Piatetski-Shapiro, and Katalin Vesztergombi standing guard. 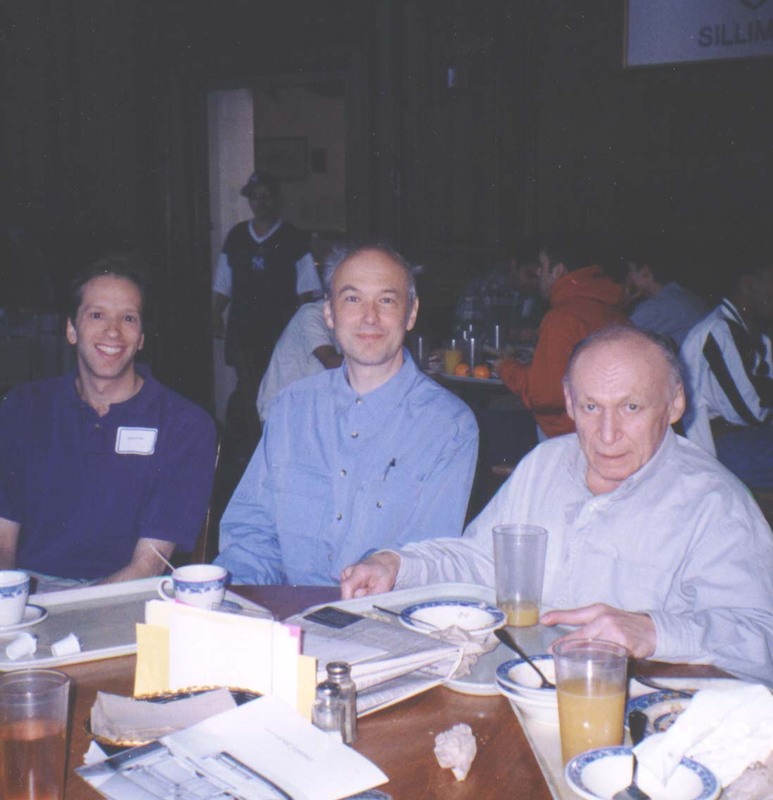 Edith Piatetski-Shapiro took this picture of us at lunch at Silliman college. 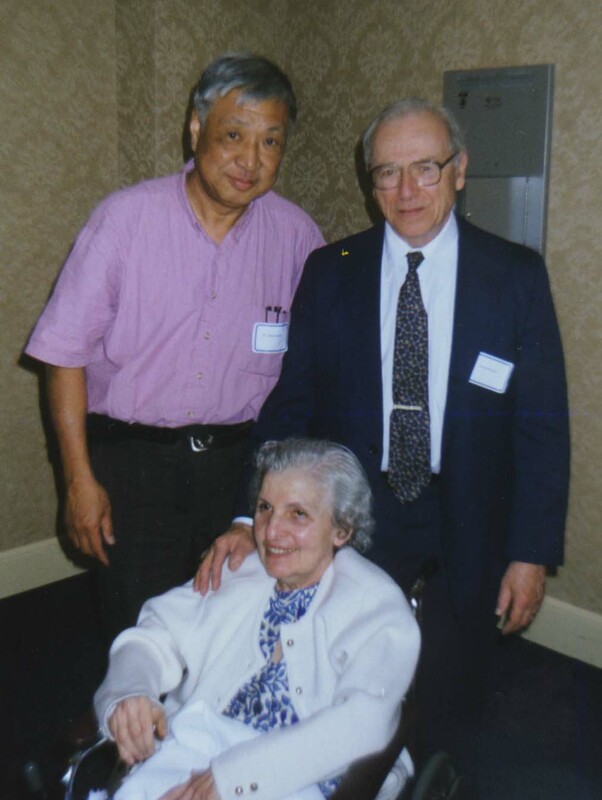 Wu-Chung Hsiang (Princeton), formerly a Yale professor, visits with the Mostows. 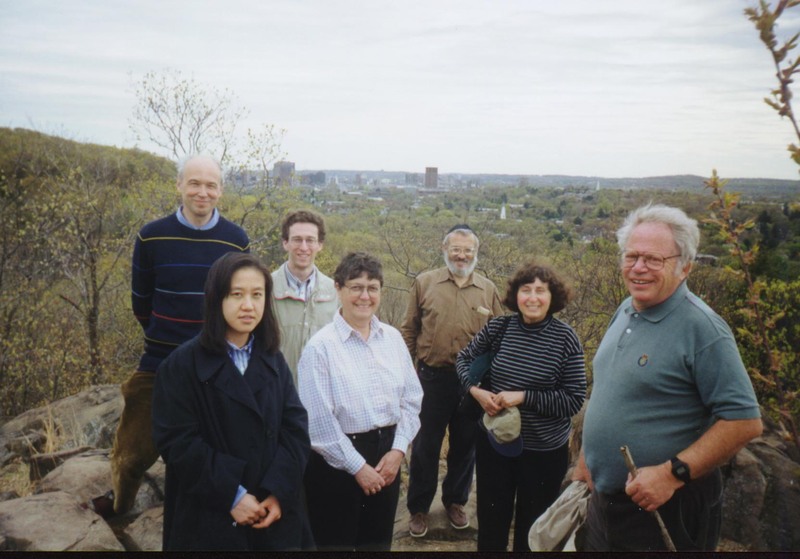 After the conference Pierre Deligne, Julee Kim, Jason Levy (Ottawa), R. Gindikin, David Kazhdan (Harvard), Edith Piatetski-Shapiro (in a rare occurance, not having to take a picture), and Simon Gindikin went to climb "Peak Whitney." It is considerable shorter than Mt. Whitney, and actually part of the East Rock. The Yale campus and downtown New Haven are visible in the background. 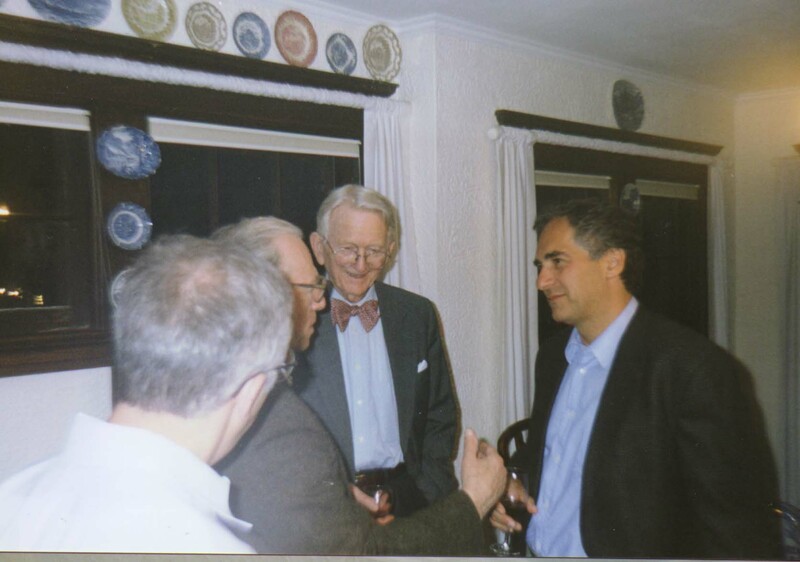 Some of the architects of rigidity theory, gathering at a reception at Gregory Margulis' house: Margulis, Mostow, Atle Selberg (IAS), and Zimmer. Finally, sometimes even I don't know what I'm paying attention to. 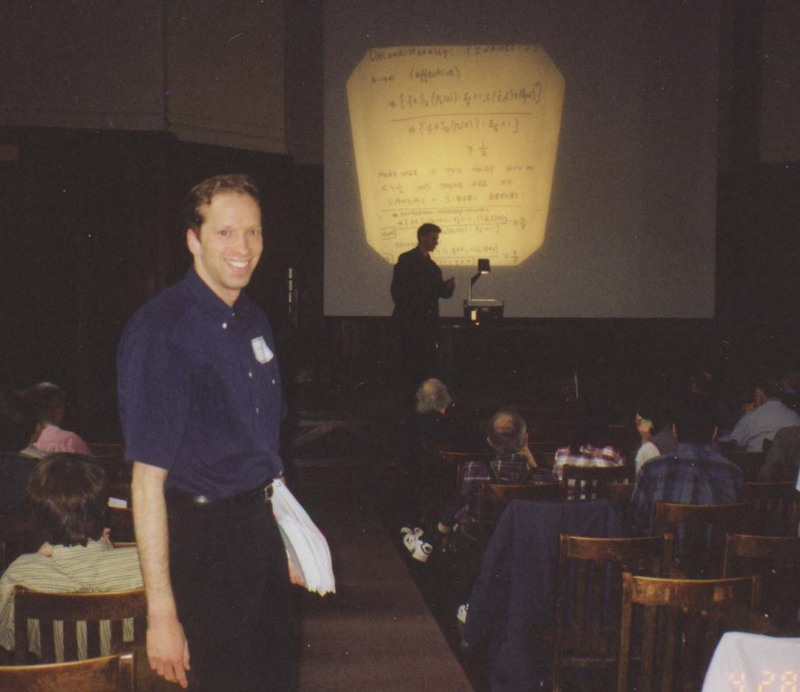 That's my advisor Peter Sarnak lecturing. I don't know why I'm not watching. Maybe he was just testing a slide? Back to Steve Miller's web-page.